Our vision is to be the leading International Built Asset Consultancy, generating value for our clients, our people and the community. What is Built Asset Consultancy? Built Asset Consultancy is delivered by providing our clients, wherever they operate, with the best combination of sector know-how, professional skills and technology which delivers valuable outcomes and profits. Built Asset Consultants do this by finding ways of getting the most from the money spent on building, operating, using and owning assets. EC Harris’ professional skills include 17 different disciplines: from asset and facilities strategy to management information systems – quantity surveying, programme, project and construction management to software development. We also extend our capacity and capability through alliances with selected companies and supply chains assembled for specific sectors. Investment in technology enables us to provide consistency of delivery across our network of offices and to capture and transfer knowledge for our client’s benefit. All our people can access best practice service delivery processes and information sources designed for client sectors. We also combine knowledge and software development skill to provide unique management information systems supporting improved asset management performance. We find that our combination of knowledge, professional skill and technology and our attitude to clients and business enables us to improve the value our clients get from the planning, construction and operation of built assets. We do this for leading organisations on an international scale uniquely through our wholly-owned network of offices. 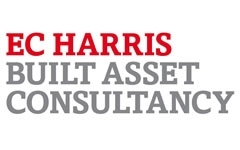 EC Harris has an enviable reputation across Europe as a leading international built asset consultancy, providing direction, leadership and confidence to clients who are investing or operating real estate assets. From our office in Moscow, we can provide the assurance, professionalism and expertise of a practice at the forefront of property consultancy including the delivery and management of projects across the region. Our projects are well-managed and transparent. We focus our considerable expertise on making sure the risks are low and the results predictable and we have a track record for reducing capital costs and speeding up delivery schedules. Working with the world’s leading investment and banking institutions ensures that our projects attract funding and retain credibility. This in itself attracts tenants and generates wealth and value for the project or portfolio of projects.